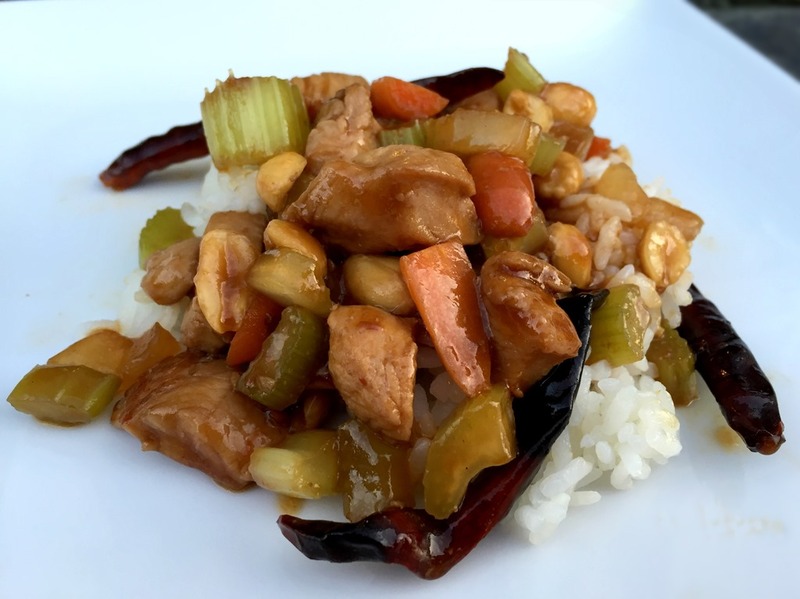 Always a family favorite, this stir-fry comes together quickly for a last minute dinner. Because the dried peppers are left whole in this recipe, it is not spicy. If you like a little more heat, simply cut up the peppers on your plate and eat them along with the stir-fry. Szechuan peppercorns and Chinese black vinegar can be found in Asian markets or online. The peppercorns usually come whole. You can use any pepper mill/grinder to crush them. You can also use a small coffee grinder to grind the peppercorns. Combine chicken with 2 Tbs soy sauce, 1 Tbs sherry, ginger, garlic, and ground peppercorns. Marinate 1 hour. Heat 1 Tbs oil in large skillet or wok over high heat. Add whole dried chilis to hot oil and cook until they just begin to blacken. Remove chilis from oil and place in serving dish. Add vegetables to the hot oil in pan and cook over high heat until crisp-tender. Remove from pan and place in serving dish. Add additional 1 Tbs oil to pan. Add chicken to pan and cook over high heat until chicken is cooked through. Reduce heat to medium, add sauce to pan, and cook until thickened (2-3 mins). Stir in peanuts, green onions, vegetables and chilis. Heat for 1 minute.